On my way from Dehradun to LBSNAA Mussoorie, the lush green Himalayan (Shivalik) hills made me feel I am on top of the world. 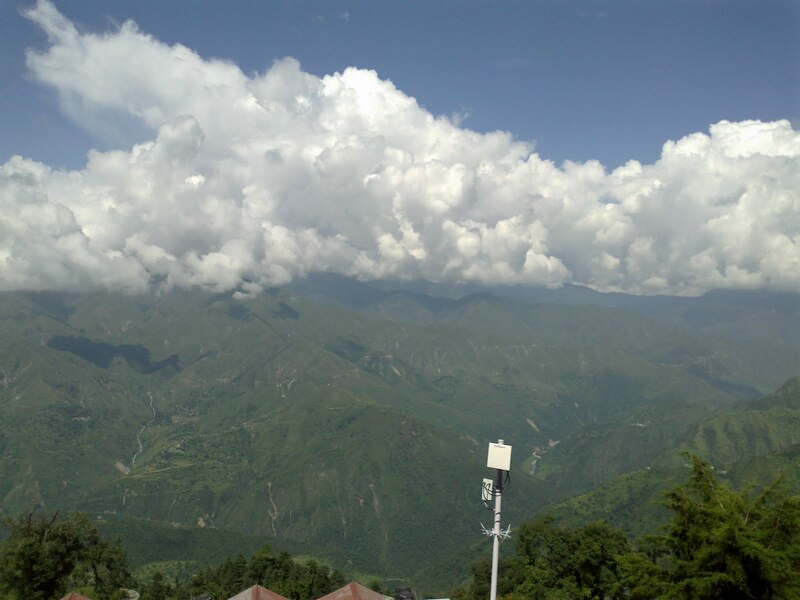 I thought i am really blessed to be here in Mussoorie, especially in LBSNAA. 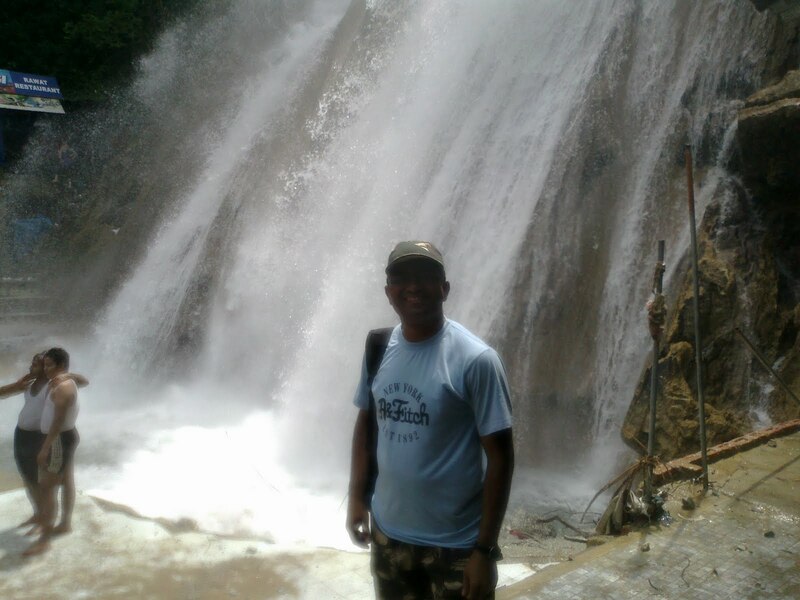 As a part of our foundation course, today (3rd Sept, 2011), academy had arranged for a short trek to Kempty Falls near Mussourie. Having spent 5 years in the concrete jungles of Bangalore, nature always provided me the much needed sigh of relief. The mountains and their lush green canopy always humble me. They are always there and have stood the test of time. They have seen thousands of generations, stood there as mighty bastions of god’s creations, thrown away beautiful smiles when every man was awestruck by their beauty, they humble the mortals as nature always do. I am (i should say, i was) not a trekkoholic as many of my friends in college and office (Bangalore). Many a times, i found one or other reason to take the road rather than trek route to enjoy the beauty of mountains. But today, compulsory trek for OTs (officer trainees) made me realize that there is a pleasure in the pain of trekking! The trekking group wasn’t small. All the 260+ OTs were made to trek down to Kempty falls and climb the shivalik hills to reach the academy. This was being the first outing and the first trekking for 86th FC (Foundation Course) batch, all the “officers” were trying to woo each other, especially ladies, and rightly so! After all, though it’s officially called “Short Trek”, it was long enough to exhaust all the energy and enthusiasm. We were asked to assemble at around 8.30AM, but we could leave the academy only at 9AM, after the mundane instructions were given. The Director of LBSNAA formally flagged off to mark the beginning of the trek. Unlike all the treks which usually starts with going uphill, reaching the top and coming down, our trek was quite opposite. We had to walk down the hill since academy was at a higher position than the trekking destination - Kempty Falls! There were no risky places to cross and the route we chose to reach Kempty was well known. There were couple of settlements/villages on the way. But what was really fascinating was the scenic beauty of Himalayas. We were already at such a height that it was like walking “in the cloud”. The clouds kissing the mountains were at the same level as our path. It was a treat to watch clouds coming down towards the valley through the green canopy on the mountains. The water streams between the hills made those majestic spots even more beautiful. There were plenty of photographic enthusiasts who were excited to photograph every beautiful spot they found. I never missed a chance to get myself photographed from others’ cameras since I didn’t have a good camera. All that I have is 5 mega pixel camera that came with my Nokia phone. 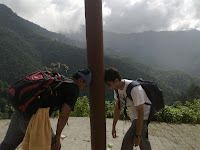 Our trekking group was so large that (260+ OTs), we covered 1 - 2 KM path at any given point of time. There was no need of any guides to lead us since our training instructors were with us and they traced the same path a day before to make sure “all izz well”, they even marked directions on the way. On our way, there was a tree plantation event coordinated by Ecological Task Force and LBSNAA. I too, planted couple of saplings just as everyone else did. The Kempty falls wasn’t too far from the event location, so we reached the falls without much of effort. About the falls, i don’t think there is any need to copy paste from wikipedia, you can read all about Kempty Falls here (wiki).The water was really chilled and it falls from such a good height that you feel like some chilled ice crystals are falling on you. We spent some time in the water and had to start back soon. 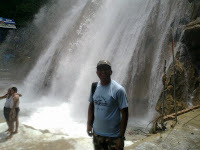 The real test of endurance started from the Kempty Falls. I still had some energy and enthusiasm to scale the heights of Himalayas to get back to academy. We had chosen different route on our way back and it was again a treat to watch those beautiful mountains from different locations. Since couple of us had spent more time in the waters, I was again one of those last few OTs who were lagging behind. So, couple of times I chose some risky short cuts to cut short my path and it was worth the risk! It gave a sense of achievement to overtake many OTs who were far ahead of me! When I reached the top, out of exhaustion or may be out of little sense of achievement I thought, I conquered the mountains around LBSNAA, but it was short lived. The mountains conquered me. Looking at those giant structures, I realized that, I overcame my weakness and gained a sense of determination and accomplishment. 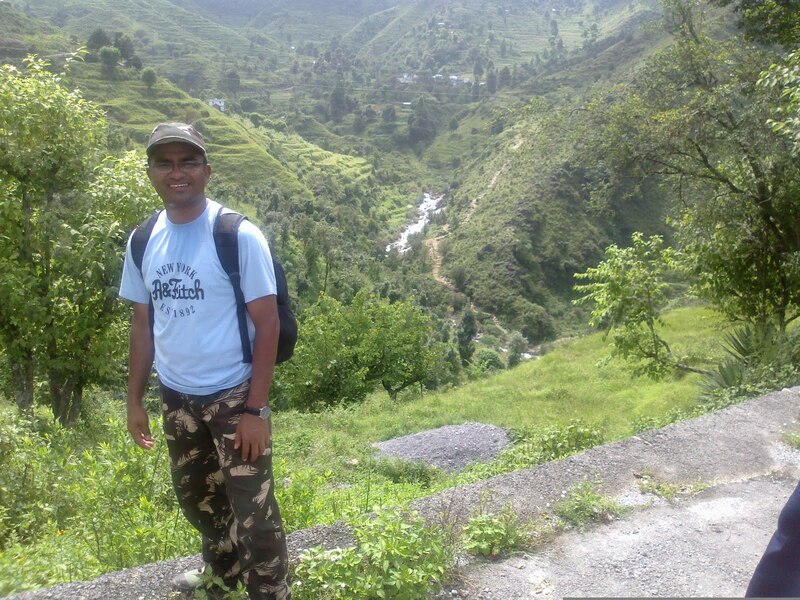 This trek did challenge my limits and crossing those limits and scaling the new heights is always fun. Nine days long trek (in October) is a part of our foundation course and I am looking forward to challenge this new limit and scale the new heights in Himalayan mountains! Here are some pictures clicked (Will upload rest of them soon). Shivalik hills in the b/g.